QuickMobile - Chartwell Group David Snell of the Chartwell Group provides high technology consulting in the areas of operations management, sales and marketing strategic and tactical planning, business development management and investments. QuickMobile is a leading mobile application solution provider helping organizations "mobilize” their business. Their solutions improve the user’s mobile experience, drive incremental revenue, marketing ROI and brand loyalty. They specialize in the Travel and Entertainment sectors. Services include mobile strategy consulting, SmartPhone apps (primarily iPhone, BlackBerry and Android), iPad apps, mobile web site optimization and text messaging campaigns. In addition, QuickMobile’s QuickStart Platform™ enables companies to mobilize their business services quickly and provides real time update capabilities, creating and maintaining a mobile audience and rapidly monetizing their mobile applications and services. Focused primarily in the Travel and Entertainment industry, QuickMobile has developed mobile SmartPhone apps, mobile websites and mobile text campaigns for several well-known enterprise customers, film festivals, travel companies, resorts and conference events. Please see customer case studies and references here. The Whistler Film Festival Society is a charitable, not-for-profit cultural and educational organization committed to celebrating, promoting and developing a strong film industry in Western Canada, and to showcasing the best films from Canada and around the world. WFFS produces one of Canada’s leading film festivals, and plays a leadership role in offering professional development programs and opportunities for filmmakers and youth. The Festival last year was held December 2nd - 6th 2009 and QuickMobile was pleased to have been asked to develop the iPhone app for the Festival. In addition to itinerary and event planning and "what's on now" features, this mobile app enabled attendees to view movie trailers, upload pictures and video thereby extending their Festival experience to their mobile device. QuickMobile's iPhone web app was chosen as the official mobile app for the Travel Innovation Summit in Orlando which took place November 17th - 20th, 2009. Sponsored by Frommer's and approved by Apple, the web and mobile SmartPhone app allowed conference attendees to get local maps, view events, interface with attendees and speakers, ask realtime questions of presenters, receive opt-in event information, research entertainment, restaurant, nightlife and other options, read reviews, and offer comments. David Snell, EVP Sales and Marketing and Patrick Payne, CEO and co-founder of QuickMobile, attended the conference where Patrick was a presenter. Close to 1,000 of the world's largest and most influential travel company executives attended this 3 day conference hosted by Philip C. Wolf, founder and CEO of PhoCusWright Research. The 2009 Sundance Film Festival was the first festival to employ an iPhone Web Application as part of its festival tool kit. This iPhone App (www.quickmobile.com/sundance) extends Sundance's brand into the mobile domain with exclusive, relevant, and timely festival information in a very convenient interface to further enhance this extraordinary festival experience. The web app has also been featured by Apple as a "Staff Pick" and is prominent in the "Most Popular" category. QuickMobile was pleased to be asked to provide an updated Festival iPhone App for the 2010 Film Festival to be held from January 21st - 31st, 2010. The Sundance Film Festival iPhone app is featured at Apple’s iTunes website and App Store. Much more than a digital version of the printed Festival guide, the app is connected and delivers real-time information to fan’s pockets wherever they may be. Users are able to search films and events, watch videos and trailers, interact with Twitter and Facebook, upload photos, find venues using location-based services and maps and much more. Sundance Institute will update the schedule through QuickMobile's QuickStart Platform (TM), add content and add new events in real-time. 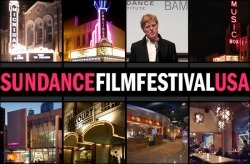 Fans will access the Sundance Film Festival film guide and schedule, read about special panels and events, access to top stories, meet the participating artists, search films, and watch videos. From licensed mobile software applications, to custom SmartPhone app development, mobile websites and text campaigns, QuickMobile is a "one-stop-shop" for contextual mobile marketing solutions. QuickMobile's QuickStart (TM) services platform is comprised of pre-designed, customizable, plug & play applets and simple web interfaces that significantly reduce a company's cost to mobilize by up to 80%, while cutting deployment to 1-2 days (from 8-12 weeks). 1. Establishing Mobile Services Capability - QuickMobile's customizable applications and professional services enable companies to quickly mobilize. Data is easily integrated within QuickMobile's delivery platform through simple, pre-existing web applets and components that optimize and streamline the integration process. 2. Connecting, Engaging, and Interacting with the Mobile Audience - QuickMobile empowers companies to deliver targeted mobile campaigns and contextually relevant mobile services. QuickMobile's QuickStart Platform Adaptation Engine is able to convert all data types into mobile-ready content including text, audio, graphics, photos, video, MMS and other wireless formats. QuickMobile provides unsurpassed connectivity to any mobile phone subscriber worldwide, with support for virtually all global wireless service providers. QuickMobile mobile solutions platform which provides seemless data base interconnectivity (SmartPhone data base and corporate client content and data base), CMS (Content Management Services), privacy and security, text messaging end user control, analytics, mCommerce and mobile advertizing management. Event management and festival applications (standard and advanced) including rich media content, streaming video, schedules, push alerts and updates, "what's on now functionality", attendee listings and messaging, geolocation services for events and people, sponsors and sponsorship ads and banners, history data base, city guides, real-time attendee questions, social networking interfaces and event galleries (pictures and video uploading). These applications enhance and expand the event or festival experience for the attendees and provide organizers with decreased costs, expanded reach and brand awareness, and increased revenue opportunities. Integrated website functionality for delivering rich media content directly to mobile customers. Mobile Concierge™ A comprehensive suite of mobile marketing tools designed for tourism and hospitality providers. Marketing dashboard for creating, launching, and managing targeted mobile campaigns. Real-time engagement tool that allows presenters to interact with their audience using mobile. Advanced reporting solution for tracking and measuring mobile marketing ROI.